Now you live out your childhood Jungle Book dreams at the Soneva Kiri resort in Thailand, and their incredible Treepod Dining experience. Located on the remote Thai island of Kood, the resort offers 42 resort villa and 21 private residences spanning 150 acres of beach and tropical rainforest. 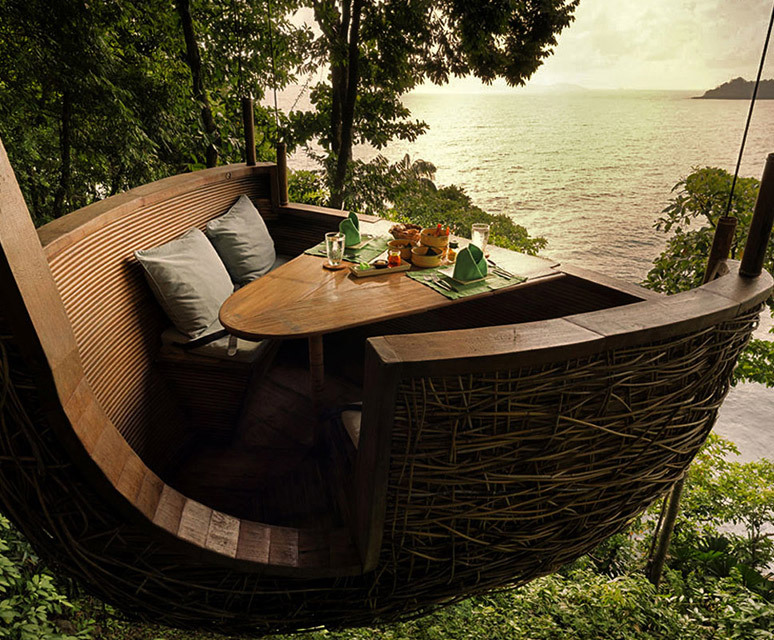 Come meal time, diners are hoisted 26-feet off the ground into a bamboo pod in a eucalyptus tree, with servers ziplining in to bring mouth-watering dishes. Finish your meal early? Sit back and take in the panoramic shoreline and forest views. Continue reading for another video and more pictures.